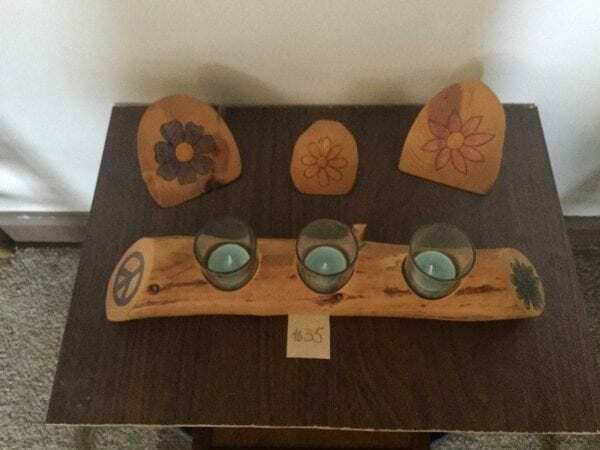 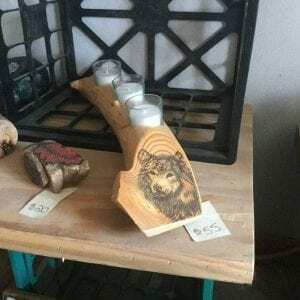 This candle holder and 2 large pine cutoffs would be perfect for the hippie. I hand drew the peace sign and flowers on these pieces using watercolor pencils and then applied 3 coats of polyurethane. 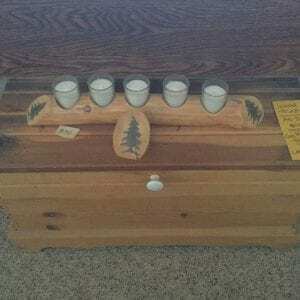 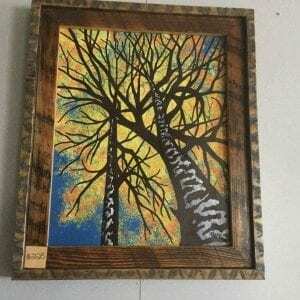 All pieces are made from a Ponderosa Pine from the Black Hills.